Top actress Rakul Preet Singh has today started shooting for Ram Charan starrer “Dhruva”. Rakul Preet Singh has taken a brief break from films post the successes of “Nannaku Prematho” and ‘Sarrainodu”. Now, she is very much excited to be back on the sets to share screen space with Ram Charan with whom she had already paired up in “Bruce Lee: The Fighter”. Meanwhile, Ram Charan took to his Facebook page to inform his fans that he had to reach the sets of “Dhruva” late due to heavy traffic on his way. “Peak hour traffic… Late to shoot. ‘It doesn’t matter how ur day STARTED..It’sabt how u END it…;) good day!!! 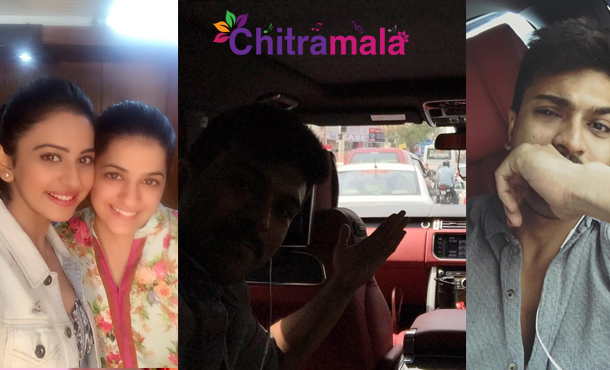 #‎Dhruva#‎happymorning,”posted Charan alongside adding a couple of photos of him in the middle of the traffic.